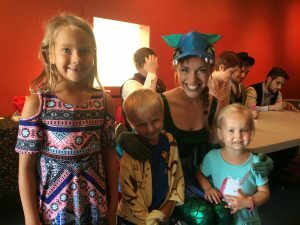 During summer, performances for youth include professional touring events as well as the wildly popular Popcorn Theatre featured Friday and Saturday mornings. Additionally, performances for area schools often meet specific curriculum needs and tours of the building can provide other customizable educational opportunities. Tickets to Popcorn Theatre are General Admission (first-come first-serve, NON-assigned seating). Tickets for Popcorn Theatre are $9 (includes $2 fee, popcorn, and juice) and can be purchased online and by phone. Patrons are strongly encouraged to buy tickets in advance as there is no additional fee to do so. If purchasing tickets at the door, please plan to arrive at least 20 minutes early to avoid lines at the box office and ensure great seats. Family and group rates available. Please contact Tirsha Odisher at boxoffice@tibbts.org or 517-278-6029. 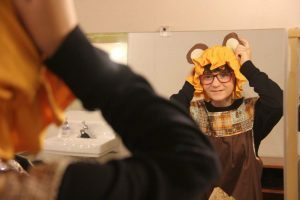 Tibbits Young Audiences produces two shows yearly with a full cast of about 50 students. A play in the fall and a musical in the spring provide students an enjoyable introduction to the world of theatre. By putting on a show they learn teamwork, discipline, theatre skills, self-confidence and an appreciation for the arts. Shows are open to youth in fourth through eighth grade. 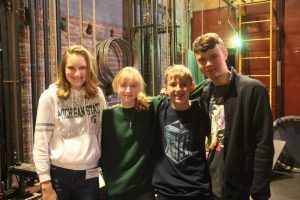 Tibbits Theatre and Beyond (T-TAB) provides middle and high school students a chance to learn more about theatre through workshops, hands on experience, performance and producing their annual talent show as well as the 10-Day Film Contest. T-TAB is open to students in grades 6-12 (or ages 13-18) who are committed to participating in at least three T-TAB sponsored activities each year. A $10 annual due from each member supports refreshments at group parties. Members of T-TAB receive experience in performing, producing, working behind the scenes, and promoting the fine arts. The programs also develop skills in teamwork, discipline, self-confidence, self-esteem, and self-expression. Tibbits is always looking for help building sets and or working behind-the-scenes. Experienced T-TAB members have had opportunities to operate spotlights, the light-board, sound and work backstage during professional and community productions. To learn more and become involved in T-TAB, please email Tirsha Odisher at boxoffice@tibbits.org. Teams of up to 5 people will write, direct, act in, and edit their videos which are required to be between 3 and 6 minutes in length. Please call Tirsha Odisher at 517-278-6029 or email boxoffice@tibbits.org for more information. 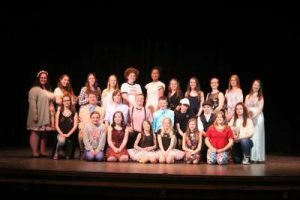 Talented teenagers entertain community members during the talent competition at the Tibbits Opera House. Students, age 11 to 18, will sing, dance, and perform as they showcase their skills and compete for cash prizes during the annual competition.